King of Glory Ministries International has been working to help several ministries in the Lakes District of Tanzania to help at risk children and orphans. We are also working to help widows in the region as well on a daily basis since 2001. King of Glory Ministries International is also working to help several ministries in the Lakes District of Tanzania to help at risk children and orphans. We are also working to help widows in the region as well on a daily basis. We have been working with working with Living Waters Ministries in Mwanza since 2009. Living Waters Ministries was founded by Carolyn Philpott, who is the International Director of the project. She was born in California, then went to UK in 1979 as a missionary. It was there when Living Waters Ministries was established as a UK charity. In 1993 when Carolyn first set foot in Mwanza, Tanzania, a desire birthed within her spirit to return and minister to the Tanzanian people. It seemed there were so many needs existing that could possibly be relieved. Consequently she traveled to East Africa every year taking teams of people that had become interested when Carolyn expressed her passion for Tanzania and the Tanzanian people. 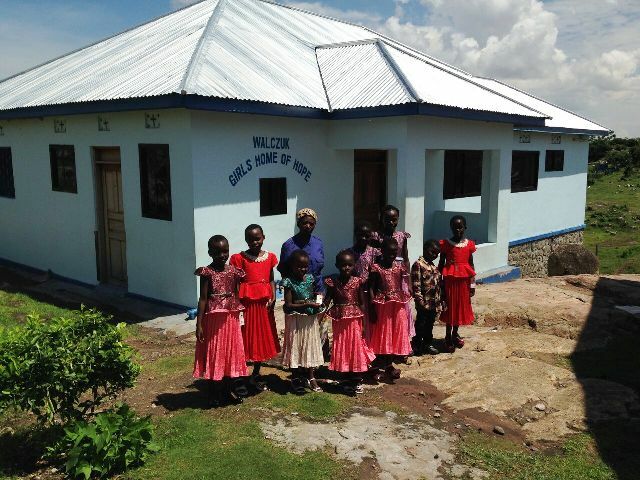 Living Waters Ministries is a Christian mission with a seven-fold Vision that began in Mwanza, Tanzania, in 1998 when the Tanzania government allocated a beautiful large plot of land on top of a hill overlooking Lake Victoria for this project. After working very hard to establish a prosperous and successful Christian school on the property, Living Waters has now begun to move forward with their vision to help and rescue the neediest children in the area. Living Waters and several partners of King of Glory Ministries International have worked to refurbish and furnish two small homes on the property—the Hylands Girls Home and the Osteen Boys Home. On Saturday, October 9, 2010, fourteen children moved into the new homes. The Osteen Home currently houses five formerly at risk or homeless boys, and the Hyland Home now houses seven formerly at risk or homeless girls. All of these children are attending Living Waters Christian School and are being trained and brought up in the admonition of the Lord. Since that time King of Glory Ministries International has also financed the construction of additional homes on the property of Living Waters Ministries International. These include the new Lori Danforth-Stephen Richardson Boys Home of Hope and the Walczuk Girls Home of Hope. These two homes currently help sixteen of the most at risk children in the Lakes District, two of which have very disabled parents. We have worked with the government, as each of the children has been vetted by the Tanzanian Department of Social Services to assure they are at risk. We minister the love of God to them each day. Waters to minister to these needy at risk children every day. Our desire is to continue to help Living Waters to obtain their vision to help many children by continuing to build more model homes and help the orphans and widows. We encourage you to pray about helping these children’s homes by making a donation to King of Glory Ministries International or by donating directly to Living Waters Ministries. Donate now directly to this project through King of Glory Ministries International by clicking HERE. King of Glory Ministries International is a recognized 501(c)(3) tax exempt organization. All gifts are tax deductible donations. Please continue to read the material on this page to see more details about our work in Tanzania at to learn more about these projects and to meet the individual children and their overseers. Goodluck Mitema is the overall overseer of all of the orphanages located on the property of Living Waters Ministries International. These children's homes are supported through the ongoing help and financial support of King of Glory Ministries International. 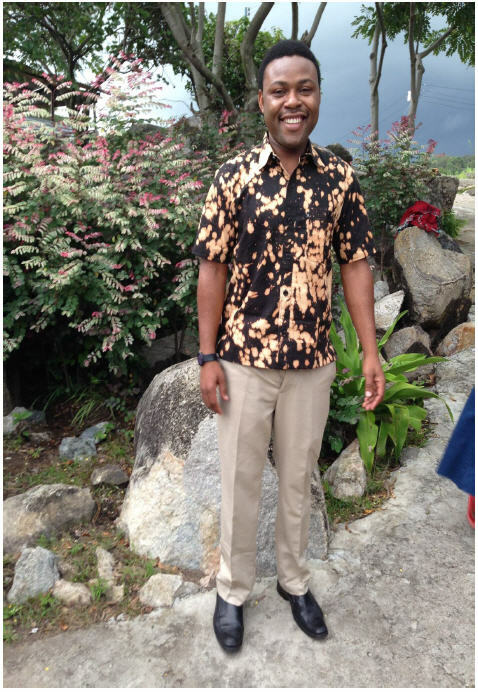 Goodluck is also the Deputy Head Teacher at Living Water Education Centre in Mwanza, Tanzania. THE LORI DANFORTH-STEPHEN RICHARDSON BOYS HOME OF HOPE pictured below was finished 12-12-15. Carolyn Philpott met WILBERT YOHANA GOJAGI on September 24, 2014, when a team visited Bukumbi, the community where the poorest of poor live. 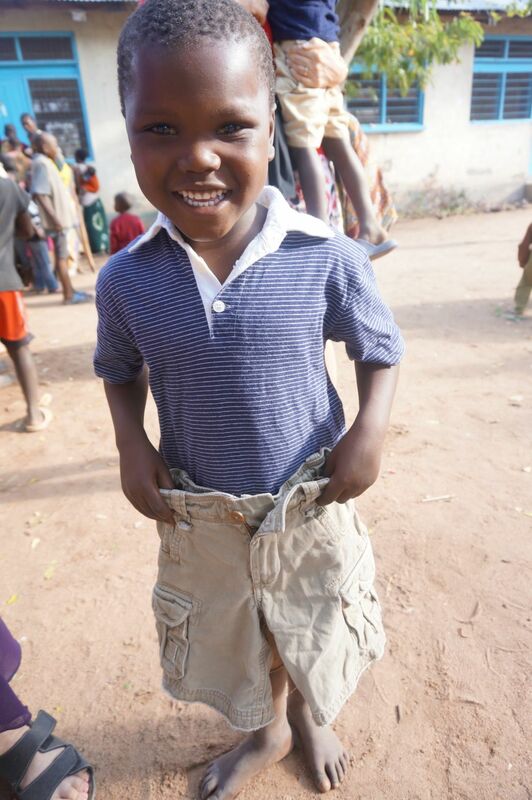 Wilbert was given some new clothes and he was overjoyed. He had the loveliest smile and showed such a sign of appreciation. Carolyn was led by the Holy Spirit to offer to bring him to live in the Danforth-Richardson Boys Home of Hope. WILBERT YOHANA GOJAGI’s birth date is April 2, 2010. He is not an orphan but he is a needy boy with great potential. 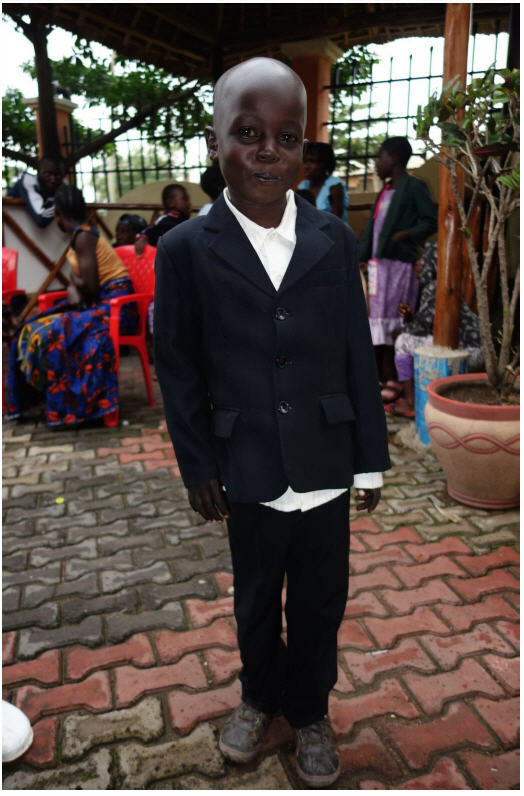 His mother’s father, who had leprosy, also lived at Bukumbi along with Wilbert and his mother. 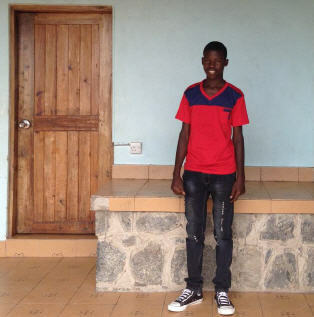 In January 2015 Wilbert was placed in the Osteen House with the older boys at Living Waters until the Danforth-Richardson Home was built. He is delighted to now be living with boys his age. 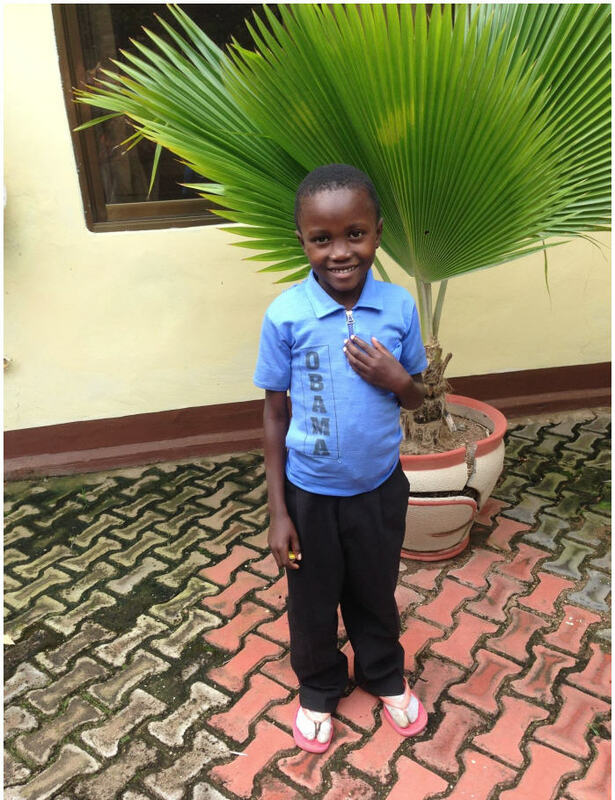 As of January 2016, Wilbert is in Prep 2 at Living Waters Primary. He is doing very well and is a lovely child. EMMANUEL MANUMBU MABEYO was born December 20, 2010. His mother died while giving birth to Emmanuel and his father died in July 2012 from cholera. He was rescued and moved to Living Waters on December 27, 2015, and is now living at the Danforth-Richardson Boys Home of Hope. Emmanuel started in Prep 1 at Living Waters Primary in January 2016. ZEPHANIA PHILIPO MAZIGO was born June 21, 2010. His mother died in 2012 from problems with her legs and his father died in 2013 from chest problems. Zephania was rescued and moved to Living Waters on December 27, 2015, and is now living at the Danforth-Richardson Boys Home of Hope. He started Prep 1 at Living Waters Primary School in January 2016. MUSA PAULO SOSPETER was born November 9, 2010. His mother died in September of 2014 while giving birth to another child and his father died in February of 2015 from a motorcycle accident. 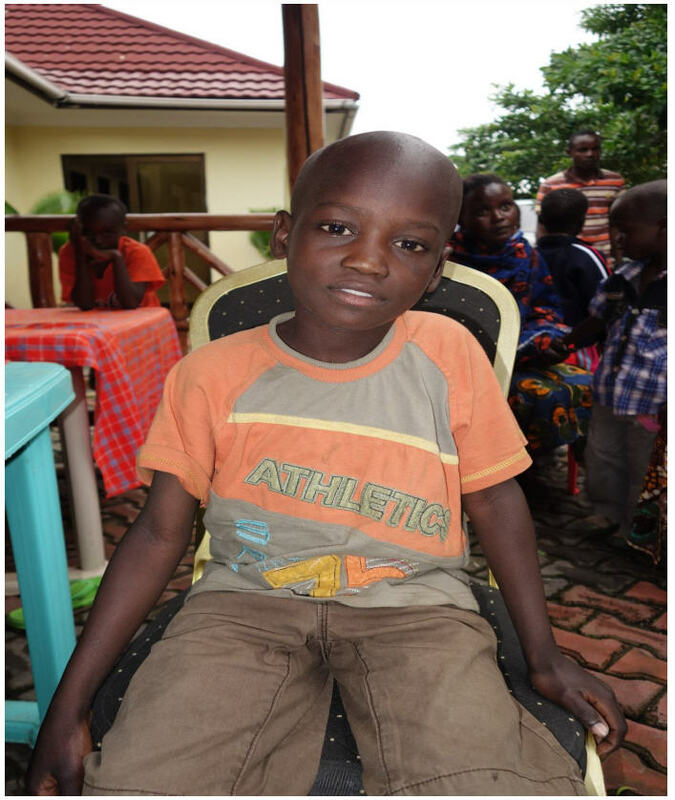 Musa was rescued and moved to Living Waters on December 27, 2015, and is now living at the Danforth-Richardson Boys Home of Hope. He started Prep 1 at Living Waters Primary School in January 2016. JULIUS WAMBURA MASABI was born June 6, 2010. His mother died in 2012 from diabetes and his father died in 2014 when attacked in the street. 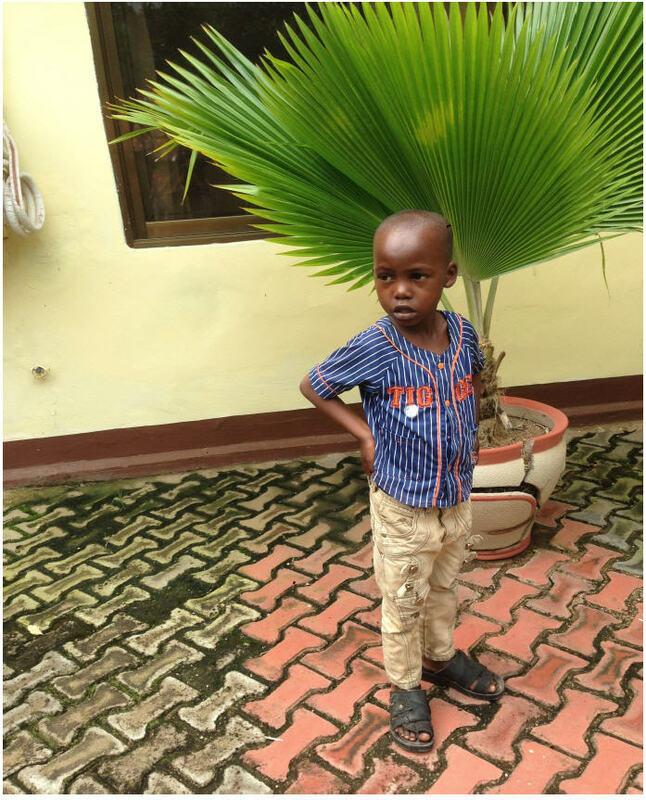 Julius was rescued and moved to Living Waters on December 27, 2015, and is now living at the Danforth-Richardson Boys Home of Hope. He started Prep 1 at Living Waters Primary School in January 2016. AMOS MAKOYE MAPELA was born November 12, 2010. His mother died in April 2009 from malaria and his father died in September 2012 from a heart attack. 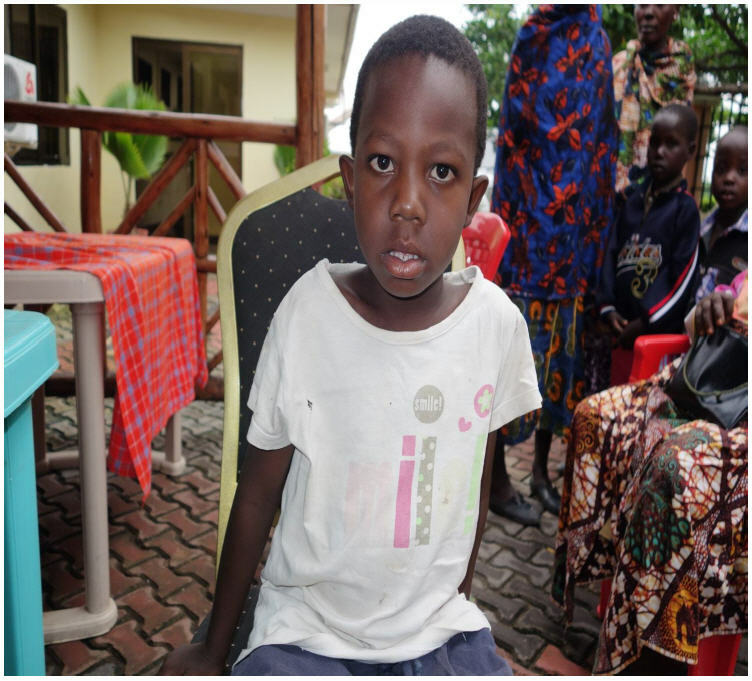 Amos was rescued and moved to Living Waters on December 27, 2015, and is now living at the Danforth-Richardson Boys Home of Hope. He started prep 1 at Living Waters Primary School in January 2016. RICHARD MWITA GEORGE was born May 2, 2010. 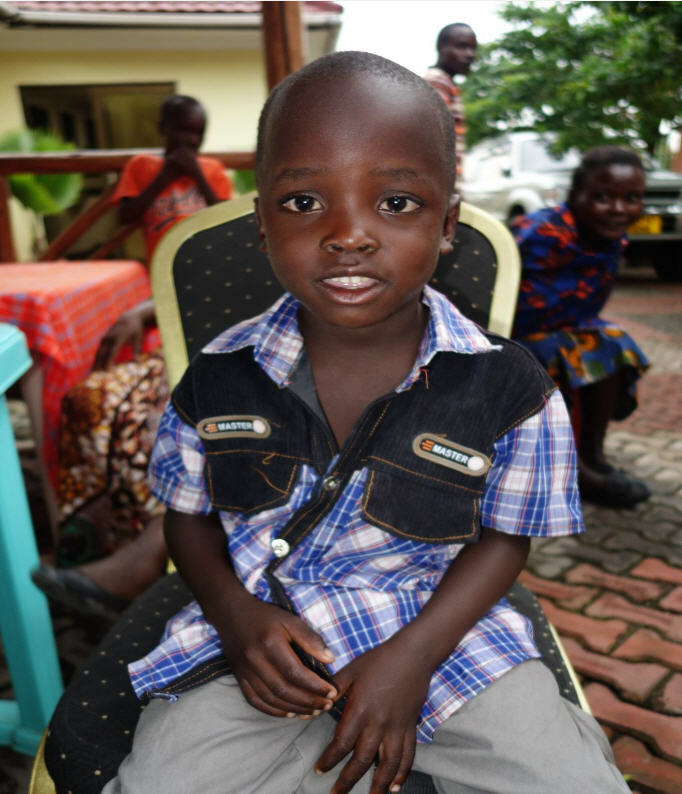 His mother died in 2012 from malaria and his father collapsed in the mines in 2014. Richard was rescued and moved to Living Waters on December 27, 2015, and is now living at the Danforth-Richardson Boys Home of Hope. He started Prep 1 at Living Waters Primary School in January 2016. SAMWEL BAHATI CHACHA was born January 21, 2010. His mother died while giving birth to Samwel and his father died from excess alcohol drinking in February 2010. He was rescued and moved to Living Waters on December 27, 2015, and is now living at the Danforth-Richardson Boys Home of Hope. He started Prep 1 at Living Waters Primary School in January 2016. SOPHIA MUSAMA was born February of 2009. Her father died from fever and her mother died of liver disease. 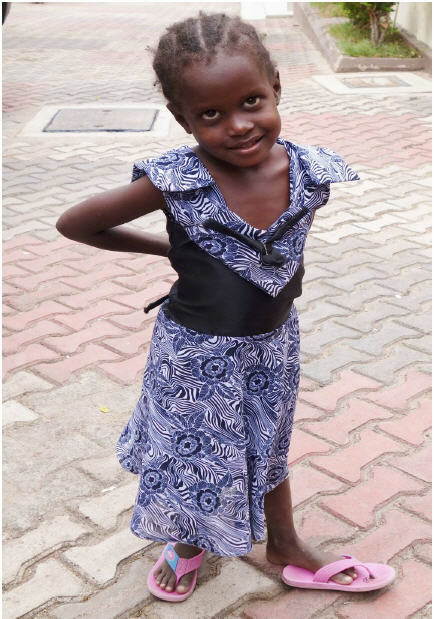 Sophia was rescued and moved to Living Waters in April of 2014 and is now living at the Walczuk Girls Home of Hope. 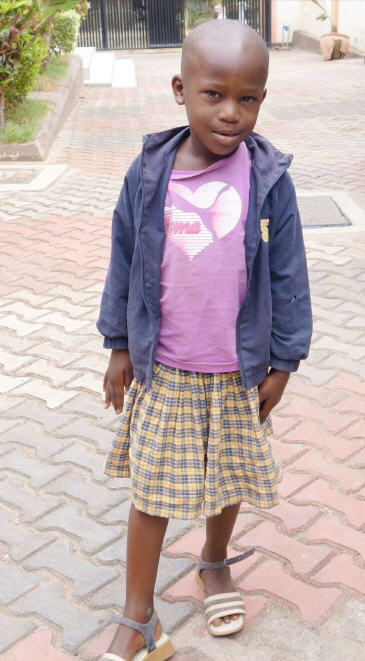 She is an A student at Living Waters Primary School, enrolled in Prep 2 in 2016. 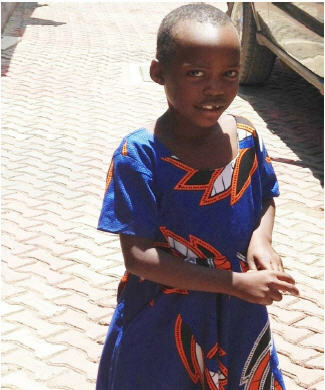 TABITHA NONYA RUNGWA was born in 2007. Her Father was hit and killed by a car and mother died from cancer in 2008. Tabitha was rescued and moved to Living Waters in April 2014 and was baptized in 2015. She is now living at the Walczuk Girls Home of Hope. She is an A student at Living Waters School, going to Standard 4 in 2016. TEREZA MAGAYANE was born February 2007. Her Father died from TB and her mother from yellow fever. Tereza was rescued and moved to Living Waters in April 2014 and was baptized in 2015. She is now living at the Walczuk Girls Home of Hope. She is an A and B student at Living Waters School, going to Standard 1 in 2016. LAMURADI BWIRE was born in 2008. Her father died in car accident and her mother from TB. Lamuradi was rescued and moved to Living Waters in July 2014. She is now living at the Walczuk Girls Home of Hope. She is a good student at Living Waters School, going to Standard 1 in 2016. SAVERA SELEMANI was born October of 2009. Her mother died while giving birth and her father died suddenly in 2014. 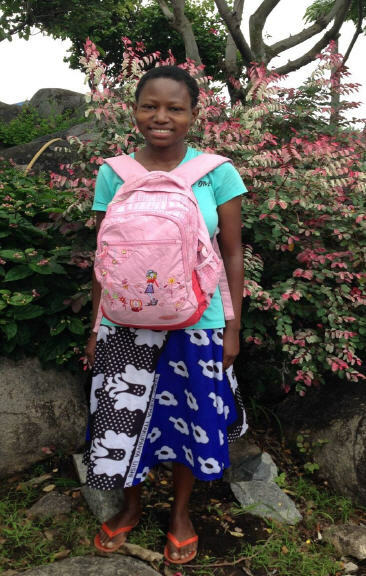 Savera was rescued and moved to Living Waters in July 2014, and She is now living at the Walczuk Girls Home of Hope. She is an A and B student at Living Waters School, going to Standard 1 in 2016. MARIAM EMMANUEL MAGOSHA was born in May 2009. Her father’s tractor was hit by a bus and mother was hit and killed by a car. Mariam was rescued and moved to Living Waters in April 2014. She is now living at the Walczuk Girls Home of Hope. She is a good student at Living Waters School, going to Standard 2 in 2016. BEATRICE KISUKA was born in 2008. Her father died of cholera and her mother died from diabetes. 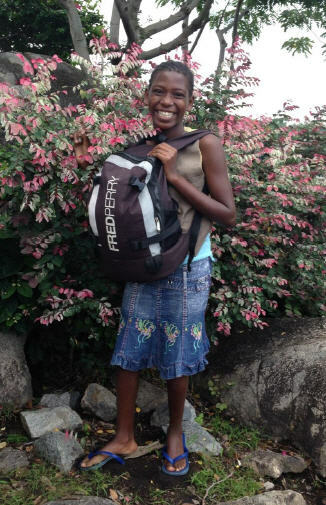 Beatrice moved to Living Waters in July 2014. She is now living at the Walczuk Girls Home of Hope. 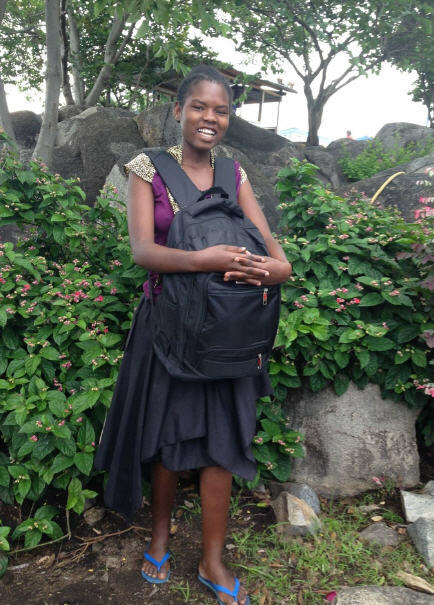 She is an A student at Living Waters School, and is going to Standard 1 in 2016. ANNA MAKASI was born in 2008. 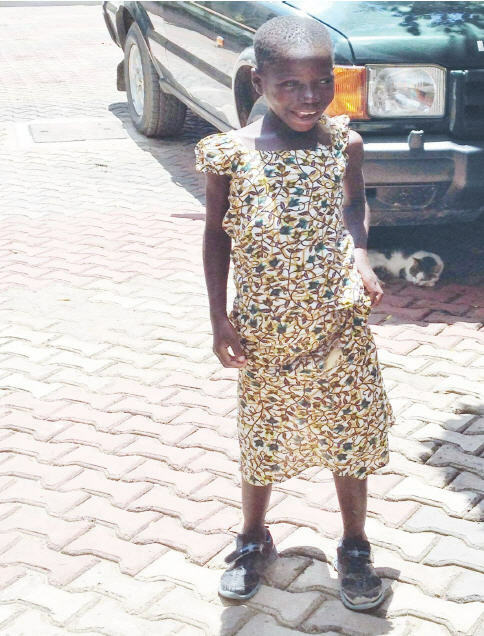 Her father, a fisherman, drowned in Lake Victoria and her mother is living but paralyzed. Anna moved to Living Waters in April 2014. She is now living at the Walczuk Girls Home of Hope. She is a good student at Living Waters School, going to Standard 1 in 2016. 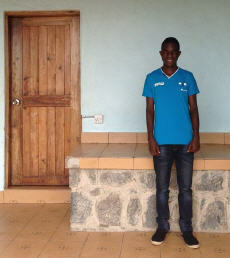 Goodluck Mitema is the overseer of the Osteen Boys Home of Hope in addition to being the overall overseer of all of the orphanages and deputy head teacher at the school. The three older boys that King of Glory originally brought to Living Waters to live in the Osteen house in 2010 had a special meeting recently with all the children living at Living Waters children’s homes. 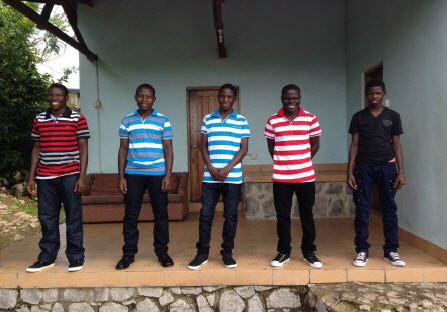 Bernard Kusaya, Vedastus Deogratias Pascal Mshela, and Pascal Kadogo shared how the Lord enabled Kevin and Kathy Basconi with King of Glory Ministries International to provide for their excellent care at Osteen Boys Home. They encouraged everyone present. They are all doing fine. BENARD KUSAYA PETER was born April 4, 1994. He was an orphan when he moved to Living Waters and the Osteen Boys Home in 2010. He graduated in 2010 from Living Waters Education Centre. Then Bernard attended Kitangiri Secondary School from 2011-2014. He moved from Living Waters to live with his sister in 2013. In 2015 he was selected to join Kagango Secondary School in Bukoba. He is in Form 5 in 2016 and his education will be sponsored by King of Glory Ministries International. Benard’s ambition is to be a member of parliament (comparable to a senator in the United States). DAVID PASCHAL PETER was born November 8, 1997. He was a true orphan when he moved into the Osteen Boys Home and onto the grounds of to Living Waters in 2010. He graduated in 2011 from Living Waters Education Centre. David attended Ibungilo Secondary School from 2012 -2014. He repeated Form 3 in 2015 at Sunrise Secondary School. 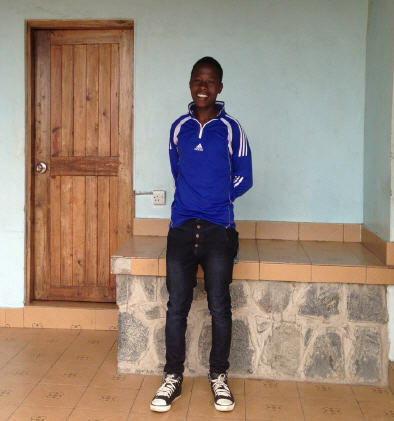 Now in 2016 David is attending the Baptist Secondary School and is in Form 4. His ambition is to become a teacher. His education has been sponsored by Dr. Jonathan and Robyn Tan of London, England. DOTTO PIUS VEDASTUS was born March 2, 1999. He was a true orphan when he moved into the Osteen Boys Home and onto the grounds of Living Waters in 2010. He graduated in 2014 from Living Waters Education Centre. Dotto attended Sunrise Secondary School in Form 1 in 2015. 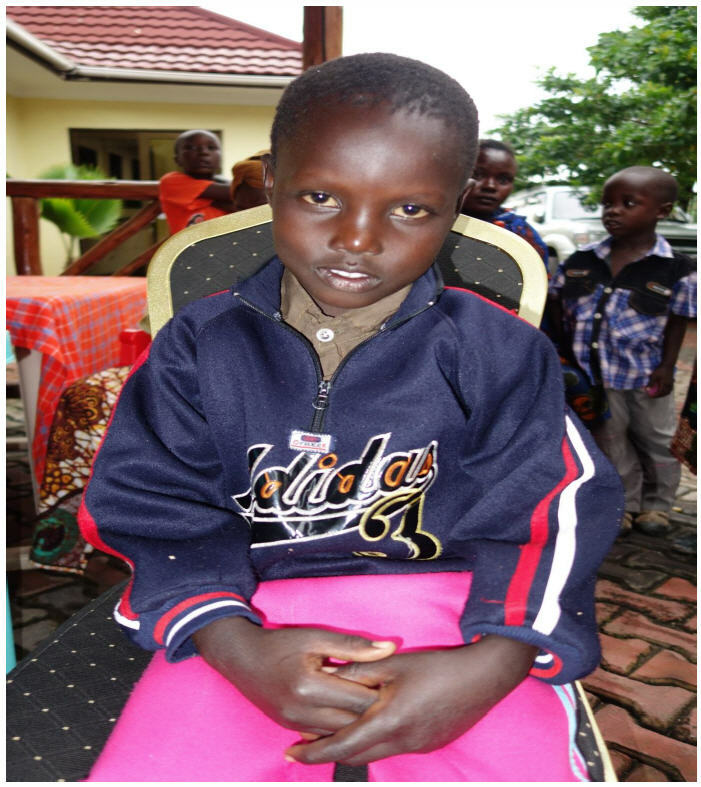 Now in 2016 Dotto is attending the Baptist Secondary School and is in Form 2. Thankfully his education has been sponsored at $576 US dollars per year. ELISHA GODFREY KASHETO was born January 1, 1999. His mother died when he was a small boy and his father is crippled in a wheelchair. He moved into the Osteen boys Home and onto the grounds of Living Waters in 2011 with his sister Happiness (Hylands Girls Home). Elisha has attended Living Waters Education Centre from 2011-2015. He is in Standard 6 this year of 2016, attending a Swahili primary school, Jeshini Primary School. 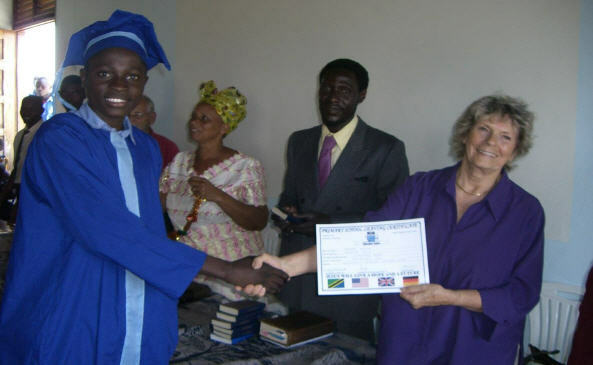 His education is being sponsored by King of Glory Ministries international. The children in the Osteen home are a family and the household enjoys the beautiful atmosphere. From left to right: Paschal (Stephen), Dotto, Goodluck (the overseer), Wilbert, David, Vedastus (Andrew), and Elisha. Rose Charles is the overseer and matron for the eight girls who live in the Hylands house. She took over in February of 2015 to date and loves the children. Our eight girls in the Hylands Girls Home of Hope are growing up to be lovely teenagers. As you can see in this group photograph with Hylands and Walczuk Girls Home of Hope in the background. This photograph was taken on the day of the Love Feast at the Malaika Beach Hotel on December 30, 2015. The clothes they are wearing are Christmas gifts from King of Glory Ministries International through Hope for the Nations. From left to right: Happiness, Maria, Avelina, Devotha, Gloria, Mary, Rose (the matron), Magreth, and Monica. The girls that live in Hylands are seen here enjoying the beautiful settees donated from a church in the UK. MARIA KUSAYA was born February 1, 1996. She was an orphan when she moved into the Hylands Home and onto the grounds of Living Waters in 2010. She attended private school at Sunrise Secondary School. She is in Form 4 this year 2016 and will be doing her National Exam. 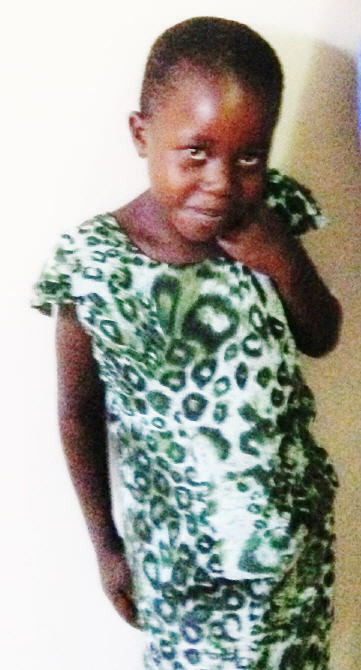 Her education is sponsored by King of Glory Ministries international. Maria has a beautiful voice and she praises God. DEVOTHA JACKSON MGANDA was born May 1, 1996. 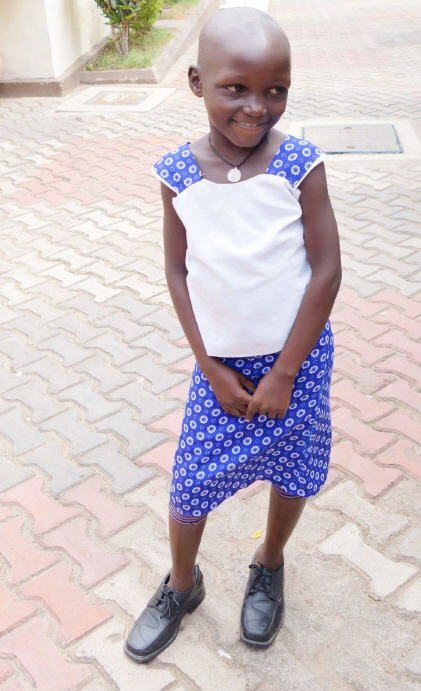 She was a true orphan when she moved into The Hylands Girls Home and onto the grounds of Living Waters in 2010. She was attending private school at Baptist Secondary School. She is in Form 3 this year 2016 after she did well in her Form 2 National Exam last year 2015. 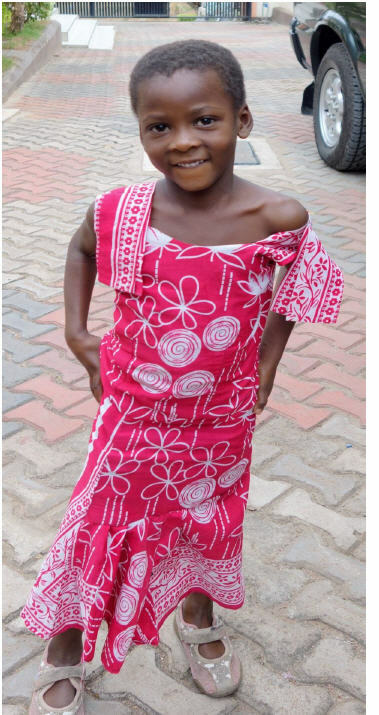 Her education is sponsored by King of Glory Ministries international. Devotha has a beautiful voice and she praises God. 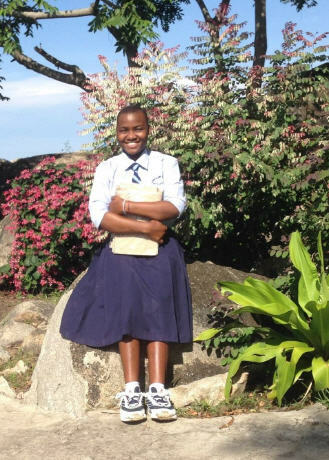 GLORIA MASHIKU MATUMBI was born January 21, 1999. She is a true orphan. She was rescued from the bush in 2010 and then moved into the Hylands Home on the grounds of Living Waters. She attended Lumala Secondary School where she is in Form 1 this year 2016. She attended Living Waters Education Centre and graduated in 2015 passing her National Exam. Her education is sponsored by King of Glory Ministries international. MARY JOSEPH LUCAS was born January 2, 2002. 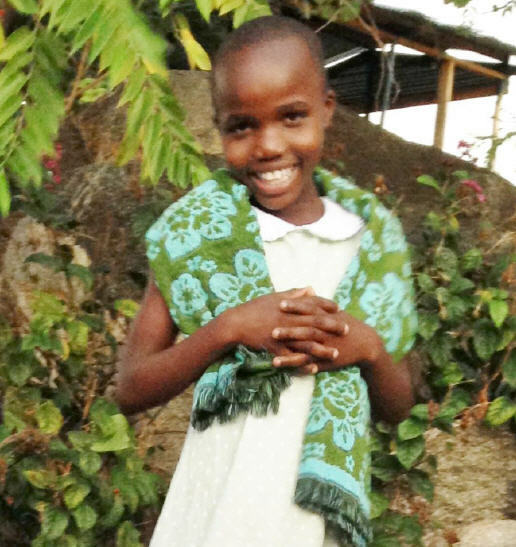 She was a true orphan when she moved to Living Waters in 2010. She attended Lumala Secondary School. She is in Form 1 this year 2016. 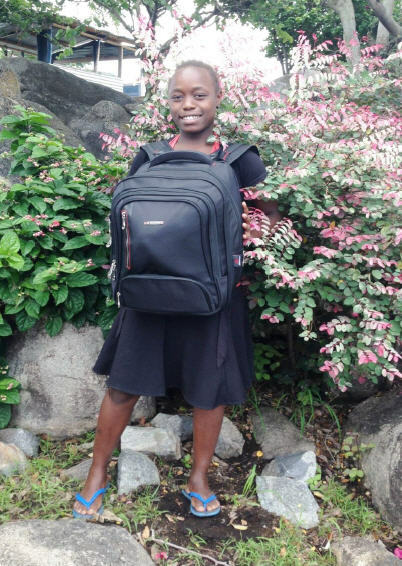 She attended Living Waters Education Centre and graduated in 2015 passing her National Exam. Her education is sponsored by King of Glory Ministries international. MAGRETH JULIUS MUSA was born January 22, 1998. She moved into the Hylands Home and onto the grounds of Living Waters in 2010 from her mother’s house. Magreth attended Living Waters Education Centre and graduated in 2013. Magreth no longer lives at Living Waters; she returned to live with her mother in 2015. She has been attending private school at Sunrise Secondary School. She is in Form 3 this year 2016 and her education is sponsored by King of Glory Ministries international. MONICA JOSEPH LUCAS was born July 12, 2005. 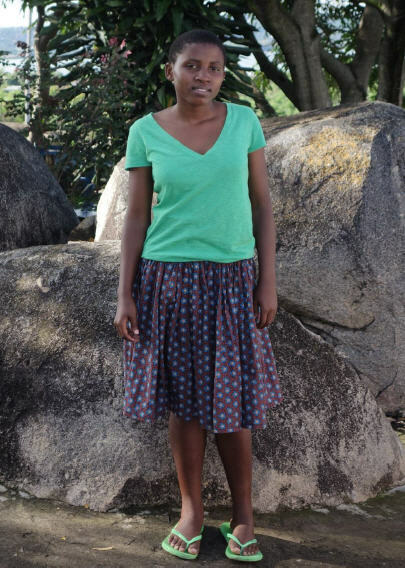 Monica attended Living Waters Education Centre since 2014. Monica is an orphan. Monica was living with their grandfather. When he died she joined her sister, Mary Lucas, and moved to Living Waters in 2015. This year in 2016 she is attending a Swahili primary school, Jeshini Primary school. She is in Standard 6 this year 2016. 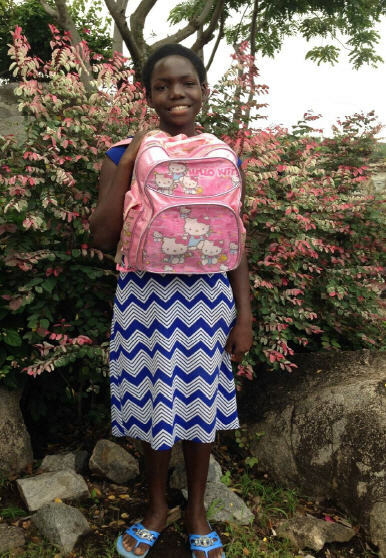 Her education is sponsored by King of Glory Ministries international. AVELINA PIUS VEDASTUS was born March 3, 2001. Avelina is an orphan. Along with her brother, Dotto (Osteen Home) they moved to Living Waters in 2010. She attended Living Waters Education Centre from 2010 to 2015. 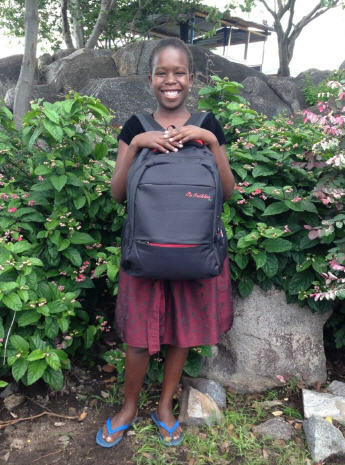 This year in 2016 she is attending a Swahili primary school, Jeshini Primary school where she is in Standard 6. 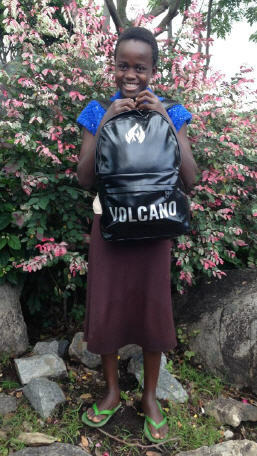 Her education is sponsored by King of Glory Ministries international. MAGRETH CHARLES MPINGA was born July 1, 2002. She is an orphan. She moved into the Hylands Home and onto the grounds of Living Waters in 2010. She attended Living Waters Education Centre from 2010 to 2014. 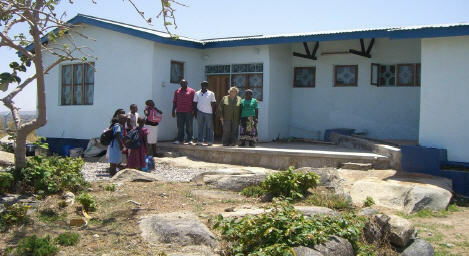 Magreth is now attending a Swahili primary school, Jeshini Primary school. She is in Standard 6 this year 2016 and her education is sponsored by King of Glory Ministries international. HAPPINESS GODFREY KASHETO was born January 2, 2000. Her mother died and her father is crippled in a wheelchair. She moved into the Hylands Home and onto the grounds of Living Waters in 2011 with her brother, Elisha Godfrey Kasheto (Osteen Home). She is a lovely girl. Happiness is a blessing and helps to look after the younger children in the children's homes. She has attended Living Waters Education Centre since 2011. She is in Standard 6 this year 2016 and her education is sponsored by King of Glory Ministries international. 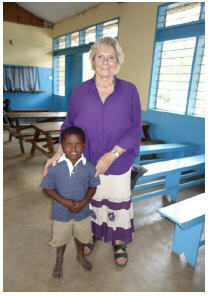 To learn more about how these orphanage projects were birthed read the next section! In 2001 while traveling in Uganda, Kevin was powerfully touched by the Lord. During this experience he was "taken up" into the realms of heaven and began to see hundreds of images of children flash before his spirit. Each time Kevin would see a child he would have a revelation of the child, knowing the child's condition. Most were orphans. Most were starving. Most were homeless and hungry, and all were in need of basic provisions. These images of children flashed before the "eyes of Kevin's heart." As Kevin was shown each child, he was simultaneously given Jesus' heart of compassion for each and every one of those orphans. Kevin began to weep as compassion welled up from within his own heart. He was broken and saw and understood the Father’s compassion and heart for the fatherless and widows. Image after image of children flashed by in the spirit. Hundreds of children filled his mind. Suddenly Kevin knew how the Lord felt and even wept for the helpless and fatherless ones in East Africa and throughout the earth. When that experience occurred in 2001, Kevin was still coming out of poverty and oppression himself. So the Lord's request to him seemed overwhelming to his natural mind. Just barely able to pay his rent and meet his own bills, Kevin saw no possible or earthly way to build homes for orphans in East Africa. However, he prayed briefly before saying, "Lord, if You will help me I will build homes for your children." At that moment the Spirit of God lifted off of Kevin and he was certain that God had called him to help orphans and to minister the Father's love to them. Later in Seattle, Washington, Kevin experienced a very similar and powerful visitation of Jesus in which the Lord confirmed this call. Within a short period of time after this Kevin began to prepare to start construction of orphan homes in Tanzania. Kevin purposed in his heart to build homes and minister the love of the Father's heart by clothing, feeding, and providing for the children's basic needs. He has never forgotten this call, and King of Glory Ministries International continues to help orphans as they can in these difficult and challenging times. The Lord is a God of mercy! The words of the Apostle James began to ring and resonate in Kevin's heart. For judgment is without mercy to the one who has shown no mercy. Mercy triumphs over judgment. What does it profit, my brethren, if someone says he has faith but does not have works? Can faith save him? If a brother or sister is naked and destitute of daily food, and one of you says to them, "Depart in peace, be warmed and filled," but you do not give them the things which are needed for the body, what does it profit? Thus also faith by itself, if it does not have works, is dead. But someone will say, "You have faith, and I have works." Show me your faith without your works, and I will show you my faith by my works. After these two encounters with the Lord concerning orphans, Kevin began to earnestly pray and seek the Lord’s direction for the place to build children's homes. The Lord supernaturally opened the door for King of Glory Ministries to start helping widows and orphans in Mwanza, Tanzania. 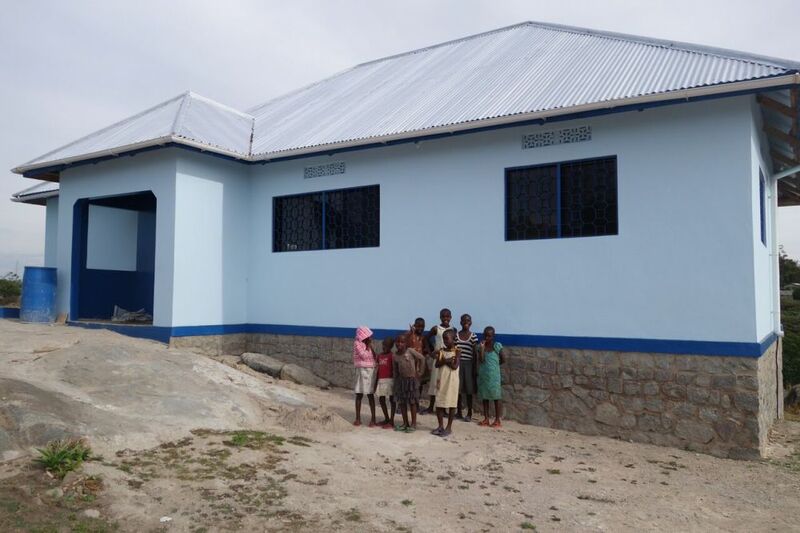 We began by building a home for children in the Llemelua region of the city. For over six years we have ministered to between twenty-four and twenty-seven children who lived at the Mount Zion Children's home. Even though that children's home collapsed in 2009 due to corruption of the hosts, we continue to feed and care for many of those same children today. To make a tax deductible donation to any of these ministries you can also click HERE and make an online donation now. Kathy and Kevin certainly thank you for your help and any assistance you can be in the future. God bless you for your time and consideration.